Rabbits do make great pets. They are good for people living in apartments or out on a farm. There are many small compact breeds that do not take up much room that can work well for an apartment setting. You can take them outside on a rabbit harness and leash for them to enjoy the sun and to get exercise. Rabbits are trainable. You can teach them to come when called to sit up along with teaching them to use a litter box. They can be cuddly and love to snuggle. There are currently 48 recognized rabbit breed by the American Rabbit Breeders Association. They range in size from 2 pounds to 20 plus pounds. 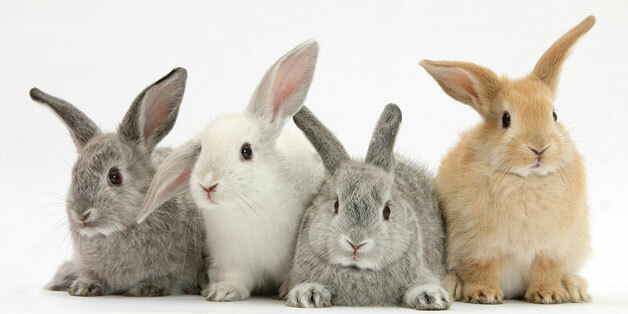 Domestic rabbits come in 5 different body shapes. Rabbits can live to about 9 to 12 years of age in captivity. 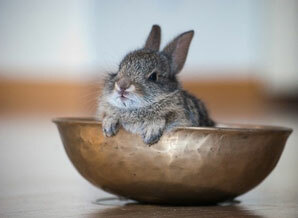 Housing a rabbit is easy and depending on the breed, won't take much living space. 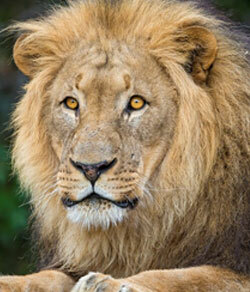 They are low maintenance and are great with other animals and children. It is recommend to get them veterinary care at least once a year to have an exam for preventive care. Rabbits have 5 different body shapes. Cylindrical, compact, commercial, semi-arch and full-arch. Cylindrical body shape is the least common type. 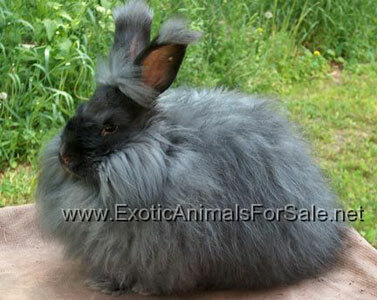 Only one type of rabbit in this category is the Himalayan. Their body is round and long. There is no rise or arch in the body seen from the side view. They lay very flat against the ground. Rabbits with a compact body shape are light weight breeds that are also short in body length but are as equal in roundness as they are in length. Small and medium size rabbits will fall into this category. The rabbits that have a compact look to them are American Fuzzy Lop, Dutch, Dwarf Hotot, English Angora, Florida White, Havana, Holland Lop, Jersey Wooly, Lilac, Mini Lop, Mini Rex, Mini Satin, Netherland Dwarf, Polish, Silver, Standard Chinchilla and Thrianta. As the name commercial implies, the commercial body shaped rabbits are breeds that are raised for meat production. The body is highest at the hips and curves down toward the nape. 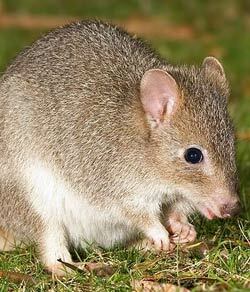 They have a medium body length and have a rounded body. Being a meat species, they were bred for quick growth. Some breeds are ready for consumption at only 8 weeks of age. 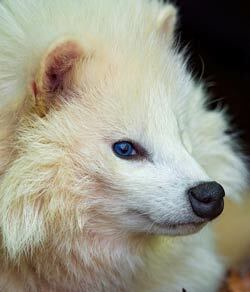 Some breeds included in this category is American Chinchilla, American Sable, Blanc de Hotot, Californian, Champagne d' Argent, Cinnamon, Crème d' Argent, French Angora, French Lop, Giant Angora,?Harlequin, New Zealand, Palomino, Rex, Satin, Satin Angora, Silver Fox and?Silver Marten. Semi-arched body shape is seen mostly in large rabbit breeds. They look like the commercial body shape except the up-ward curve to the hips does not start until ribcage area instead of right at the neck. This shape is also known as Mandolin in the British Rabbit Council as the rabbit looks like the instrument when faced down on a surface. 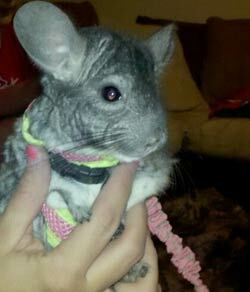 American, Beveren, English Lop, Flemish Giant and Giant?Chinchilla are some breeds in this body type. The full-arch body is one that is built for speed and dexterity. They will look very similar to a wild hare from the side view. They look as always on alert as the ears are erect with a body arch starts at the nape and runs down the body smoothly to the tail. Majority will look to have more depth than width in the body. Some rabbit breeds with the full-arch body shape are Belgian Hare, Britannia Petite, Checkered Giant, English Spot, Rhinelander and Tan. Domestic rabbits can be fed a variety of foods in captivity. There are many commercial pellet diets available that are nutritionally balanced for your pet rabbit. The best diet though is one that is high in good quality hay and grasses supplemented with pellets. 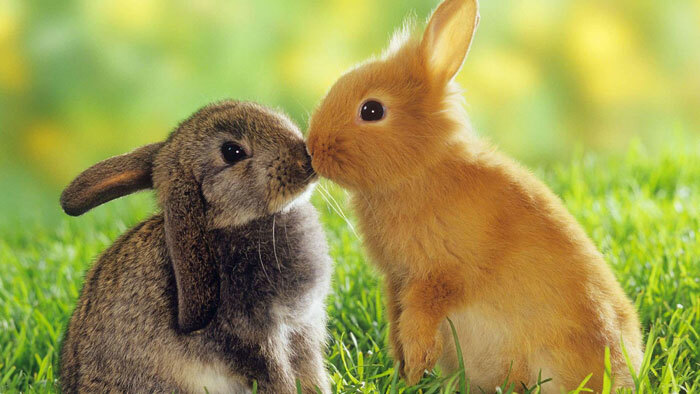 Rabbits naturally eat mostly grasses and are required for a healthy digestive system. The grasses and hay will also help with the wearing of the teeth. You can feed root vegetables and fruit in small amounts only. Dark leafy greens can be offered daily but research the plant species to make sure it is not one that is poisonous to your rabbit. Rabbits do easily become overweight and the owner needs to watch the amount fed to prevent this from happening. Another important component for a rabbit's diet is cecotrope. Cecotrope is the name for a dropping that the rabbit produces usually at night. It is soft and clustered. The rabbit will eat this for vital bacteria that is contained in the cecotrope that helps aid them in a healthy digestion tract. Your pet rabbit will enjoy having the largest cage you can afford and have room for. Depending on the breed of your pet rabbit will depend on the minimal caging size needed. The average pet bunny will weigh about 6 pounds and should have a cage no smaller than 30”x30”x24”. But if you allow your pet bunny to roam around a large room or outside during the day, you can have a slightly smaller cage for their sleeping cage. The cage should have a large area for the rabbit to be able to stretch out without hitting anything. They do enjoy laying on blankets which will help them get a break from laying on the wire bottom, if your cage has one. Water bottles can be attached to the outside of the cage so they do not take up much room and there are food bowls that attach to the wire or hang on the outside available. Otherwise a regular food bowl can be placed on the bottom of the cage. Another item to consider in a cage is a litter box. Rabbits can be litter box trained. Cages with 2 or more stories are available and help that the cage does not have to be so wide and long as the upper stories can be setup for the sleeping, grooming and eating/ drinking area and the bottom can be where the litter box is placed. Rabbits can live in a cage outside year round. You have to provide them with a sheltered area to get out of the weather elements and if you live in a cold climate, make sure they have access to water. Change out frozen water bottles frequently throughout the day. Hay needs to be provided for your pet rabbit to use to stay warm. Toys for your pet rabbit are essential. Toys provide physical and mental stimulation in the rabbit's life. Chewing toys will help keep teeth in check by wearing them down. In the wild, rabbits spend a lot of their time foraging for food. 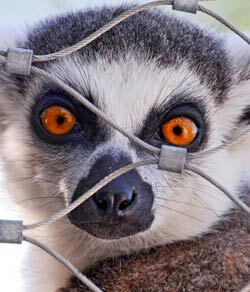 They do not need to do this at a pet so there is a lot of energy build up for them to get out. The toys will need to be frequently changed out to avoid the rabbit from getting bored with playing with the same toy each day. Not all toys have to be bought at the pet store. You can make safe toys for your pet rabbit with household items. You can take a paper towel tube and fill it with dried grasses, take a box and make a hutch out of it or go outside and pick sticks for non-toxic tree species for them to chew. Rabbits are a species that a pet owner does not think about bringing to a veterinary on a regular bases. A rabbit should be brought to a vet at least once a year to have an exam. There is no vaccines that is required for them to get. Bringing them to the vet may catch any health issues as a rabbit is a prey species and by design, they are very good at hiding symptoms of illnesses. 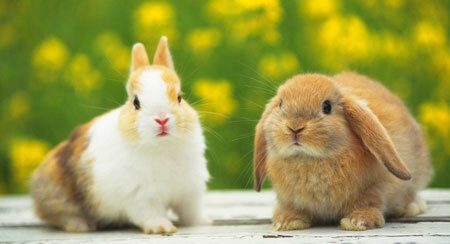 It is beneficial for the rabbit's health in the long run to have them spayed or neutered. 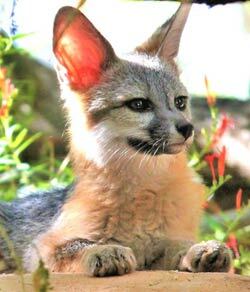 It will eliminate certain cancers and aggressive breeding behaviors. You will have a calm and more health pet. Rabbit Teeth The teeth of rabbit are constantly growing. They can be kept in check with a proper diet. Some rabbits can develop malocclusion teeth. This means that their teeth are not properly lined up which causes them to not wear down correctly and grow excessively long. If not caught and treated, the teeth may grow so long that they will cause health concerns and protrude inches out of the rabbit's mouth. The teeth are trimmed back by a veterinary and the cause of the overgrown teeth with be addressed as to if the rabbit will need constant trimming or a diet change is only needed.